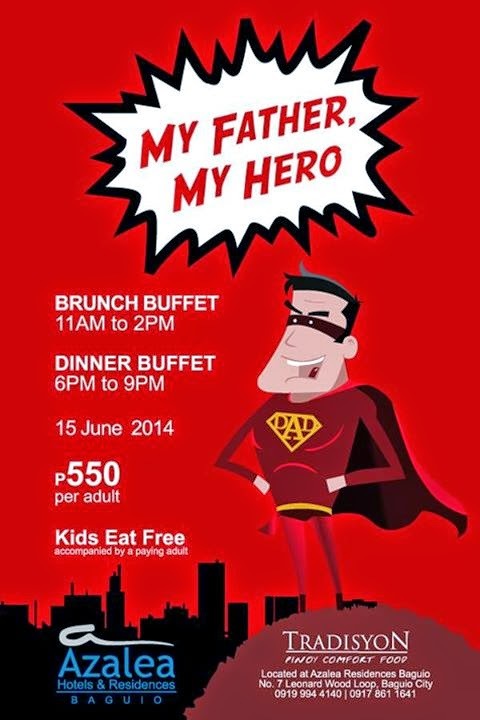 If you are around Baguio City and looking for a place to celebrate Father's Day, you can make it extra special by doing it in Azalea Hotels and Residences. Their house restaurant TRADISYON serves Pinoy Comfort Food and the premise is, from the hours indicated above... all adults pay 550 but of course... the surprise is.. THE KIDS EAT FREE! Reserve or call this number! 09199944140, remember the date June 15!